If there’s one thing people need to know about me, it’s that I have an obsession with Oreos. I have a particular goal to eat every single one of the 50+ Oreo flavors out there, and while what’s ranked below isn’t an exhaustive list, it’s certainly a good start. A good Oreo is one that’s easy to eat, a good balance of sweet and savory and, most importantly, a cookie that I want to eat again. In the spirit of an even playing field, all cookies were eaten without milk. Fun fact about Oreos: they’re vegan. Oreos contain no actual dairy in them and because of this, the cream is spelt “creme.” It’s a word they made up because they can’t legally call it cream. 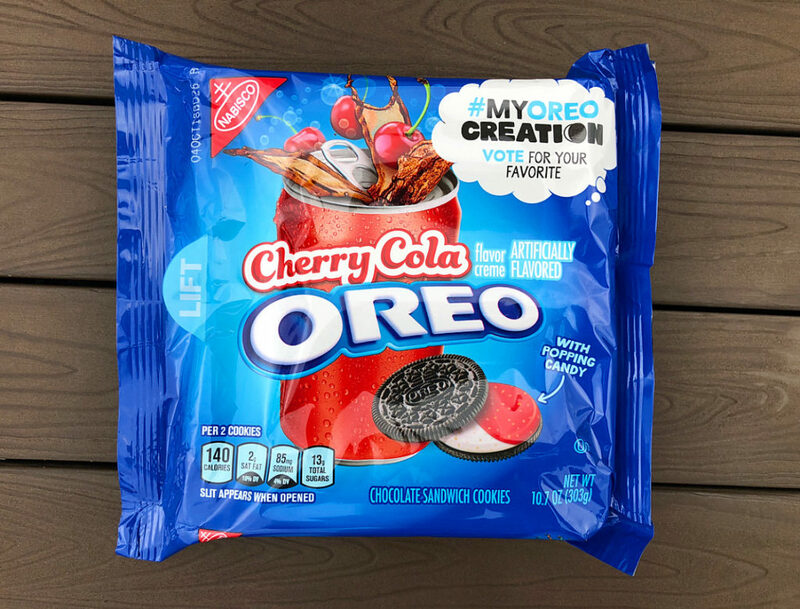 As part of 2018’s #MySummerCreation Oreo flavor contest, Oreo debuted three new flavors. This was the first of those and by far the worst. As the name might suggest, it was designed to emulate the flavor of cherry cola. The problem is that it does its job almost too well, producing a sickening cherry with “popping candy” in the creme to try and simulate the carbonation of soda. This flavor is unique in that it’s one of the only flavors of Oreo trying to emulate a drink instead of food. Just try and think about that for a second. It’s a cookie, trying to taste like a soda. It’s a terrible concept, horribly executed. Hands down the worst Oreo I’ve ever tasted. The second of the #MySummerCreation flavors, Kettle Corn, fares only slightly better than Cherry Cola. It shares the same fundamental problem: It emulates the flavor too well and, frankly, I don’t want popcorn in my cookie. If I wanted popcorn, I would’ve eaten popcorn. Think back to the last time you ate popcorn; what’s the one experience that you’d love to see replicated in a cookie? What’s that? Did you say “the random shards of broken kernel?” Well, good news! Oreo said that too. 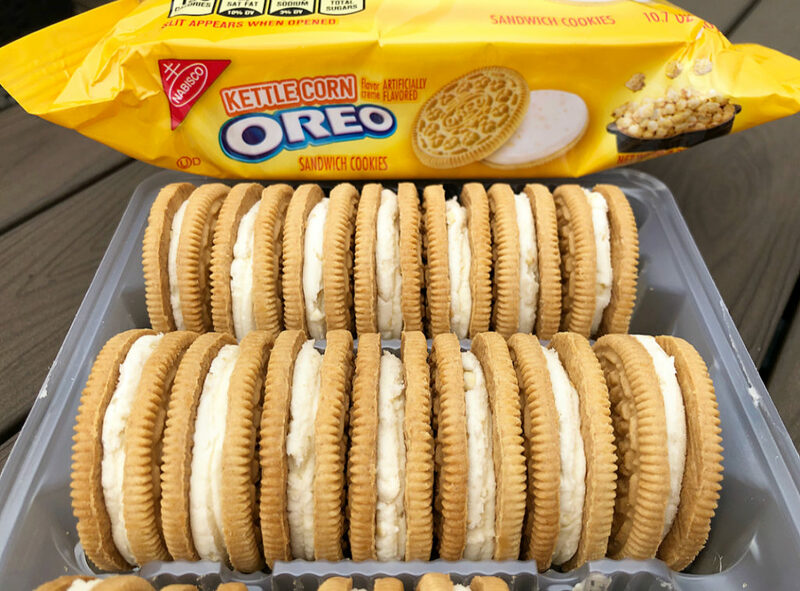 One bite into a Kettle Corn Oreo treats you with the buttery flavors of fresh popcorn and the unsettling crunch of kernels all in one convenient package. The only reason Kettle Corn ranks above Cherry Cola is that Kettle Corn is a marginally better-tasting flavor on a base level. A Firework Oreo is what happens when you drop an original Oreo into a tub of glitter. It a normal Oreo, with a chocolate cookie, vanilla creme and the added pizzazz of Pop Rocks in the creme. Look at the bottom three rankings on this list and you’ll notice a common theme. They all have candy in the creme, violating a fundamental principle of Oreos. First, there’s a crunch in the cookie. Next, a sweet creme filling and finally, another cookie to wrap the bite up in a neat little bow. The satisfaction of biting into an Oreo cookie is a singular experience that begins and ends when you bite into the cookie itself. When candy adds a crunch to that cookie equation after chewing, it throws the entire bite off and ruins the experience. Strawberry Shortcake is Oreo’s version of Good Humor’s ice cream flavor, which is just another version of the original cake dessert. The taste is something akin to a strawberry lollipop or jellybean. Notably artificial and unwelcoming, the cookie is the dessert equivalent of playing that game with Google Translate, sending a phrase through over and over again until it’s a comically garbled mess and nothing like the original. In the same vein that popping candy throws off the delicate balance an Oreo represents, changing the amount of creme does as well. The 2-to-1 ratio of cookies to creme is a tried and true formula of Oreos. The idea of this being messed with throws off the entire cookie and makes a uniquely unpleasant experience. I understand this is a controversial opinion, but I stand by it. My beef with Oreo Thins is the same as Double Stuffed. Don’t mess with the ratio. Golden Oreos are where I draw the line in quality. Everything before this is bad. Everything after is good. Golden Oreos aren’t bad, but they’re not great and they’re certainly not an Oreo. Vanilla creme on a vanilla cookie has no distinct taste. It’s like biting into nothing and nothing makes a good neutral baseline for all other Oreos to rest on. This area of the list is a territory of otherwise good flavors marred by overly sweet creme. Birthday cake as a flavor is nothing new, and it’s happened before in countless other cookies. The flavor is more of the same and it just tastes like frosting. I can only eat a couple before I get sick. Red Velvet is a lie sold to you by marketing. It tells you nothing about the taste and instead hopes to sell solely on the elegance of the name. What is Red Velvet? Chocolate dyed red with cream cheese. If you saw something on the shelf labeled Chocolate Cream Cheese, would you buy it? No. But even still, chocolate is a staple flavor for a reason. The cream cheese-flavored creme is too sweet to eat more than a couple without getting tired of the flavor altogether. The disappointment of Cinnamon Bun was felt particularly hard. Cinnamon buns are one of my favorite desserts, so to hear your favorite cookie and dessert are collaborating like this is like hearing what Warped Tour was for the first time: absolutely mind-blowing. That’s what makes this so heartbreaking to put this flavor as low as it is. It had the potential to make it to the top, but it just falls short. 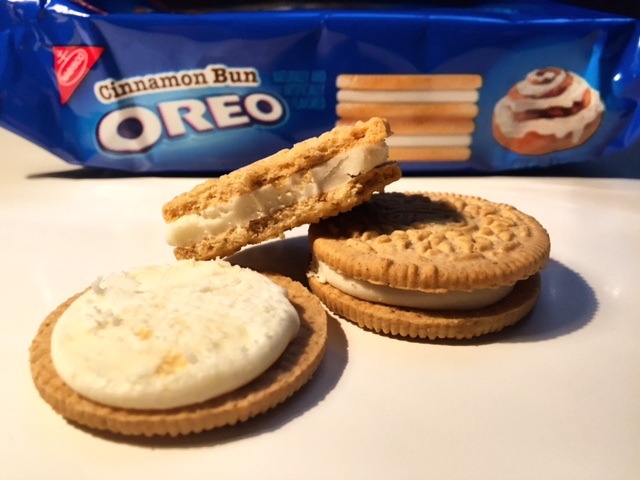 The room-temperature dryness of a singular cookie compared to the warm and gooey texture of an actual cinnamon bun gives no comparison, leaving Cinnamon Bun Oreos an immaculately good cookie that just falls short of perfection. Apple Pie Oreos admittedly taste nothing like an actual apple pie, but I’m a sucker for cinnamon, what can I say? This one’s been released under many names over the years, sometimes as a Reverse Oreo, once as “Uh Oh! Oreos” or even under the extremely clinical name of “Golden Chocolate Oreo” but the premise is still the same. 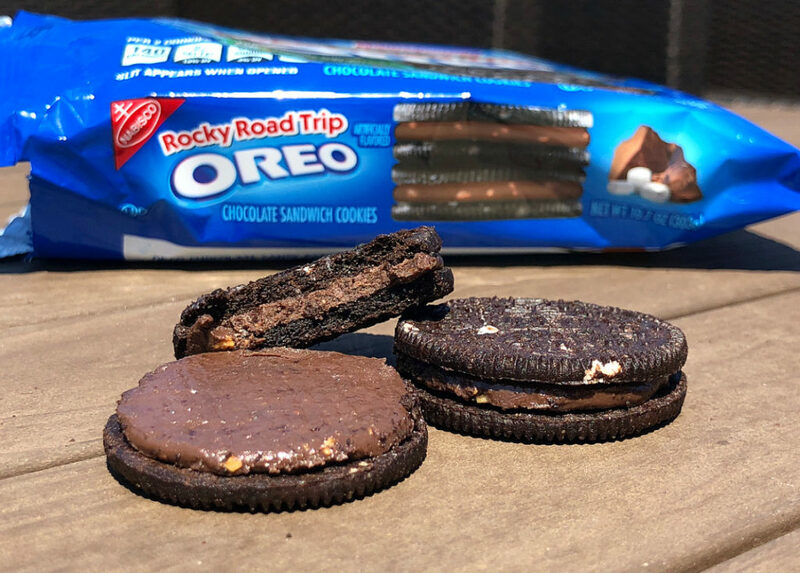 Take an original Oreo with chocolate cookies and vanilla creme and swap their positions. It’s a bizarre experience leaving you with vanilla-flavored cookies and a chocolate-based creme. It looks completely different from an original Oreo, yet tastes almost exactly the same. I call it the “Crystal Pepsi of Oreos.” It’s a chilling reminder that all processed food is minutely manufactured and taste is an illusion. Chocolate is Oreo’s jalapeno to the Original’s bell pepper. The difference in chocolate is negligible to those who eat it regularly, but it might turn away those who aren’t into chocolate all that much. As we round this corner of the list, we get to a part that I would like to call “Very Good.” These top flavors are the best of the best and the ones I would buy again and again. There’s not much special to say about this one. It’s a chocolate cookie with dark chocolate creme. It’s the habanero to Chocolate’s jalapeno. Carrot Cake is the only flavor on this list that truly surprised me. With every other flavor, I could roughly guess where it’d end up. I was completely wrong with Carrot Cake. 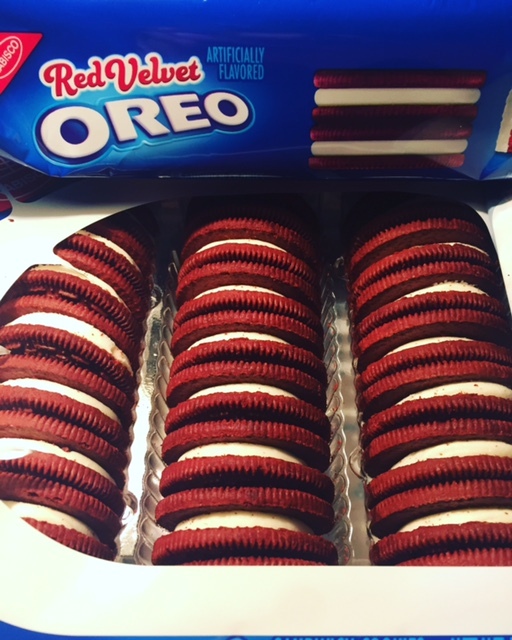 If Red Velvet and Birthday Cake are any indications, Oreo’s track record of making cake flavors is less than stellar. But finally, Carrot Cake nailed down what a decent cream cheese flavoring should taste like. The combination of frosting and a cinnamon-flavored cookie makes this one of the best Oreo flavors out there. What can I say about the original Oreo that hasn’t already been said before? The original combination of chocolate cookie and vanilla creme became the iconic cookie it is today for a reason. It’s the foundation on which this entire cookie empire is built upon. Many people hate Mint. Many people are also wrong. Peppermint Bark is, unfortunately, a holiday season-exclusive flavor. I absolutely adore mint flavor; the best candy, ice cream and cookies are all mint. According to “science,” the difference between spearmint, which is commonly used as the de facto mint, and peppermint in nature is the concentration of menthol found inside (0.05 percent in spearmint vs. 40 percent in peppermint). All this to say, peppermint packs a harder punch and it works. It came and went under the cover of night, but I won’t forget you, peppermint. At least we’ll always have Mint. 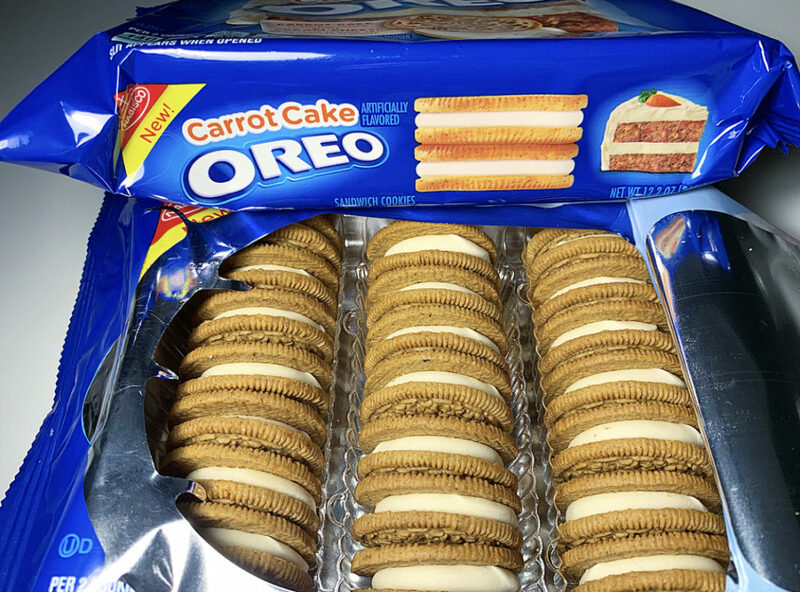 If you would’ve told me six months ago that my favorite cookie was an Oreo based off an ice cream flavor I don’t even like that much, I wouldn’t have believed you. But somehow the combination of fudge chocolate flavor with marshmallow creme finds its perfect home in between two chocolate cookies. It amazes me every time I eat one that this flavor actually exists. I never understood that scene in Ratatouille where Remy ate some good cheese and suddenly the world fades fades to black and taste explodes behind him like a firework, each distinct flavor combining in new ways to create something better than the sum of its parts. Now, I have become the food rat. That scene is me, eating a Rocky Road Oreo.